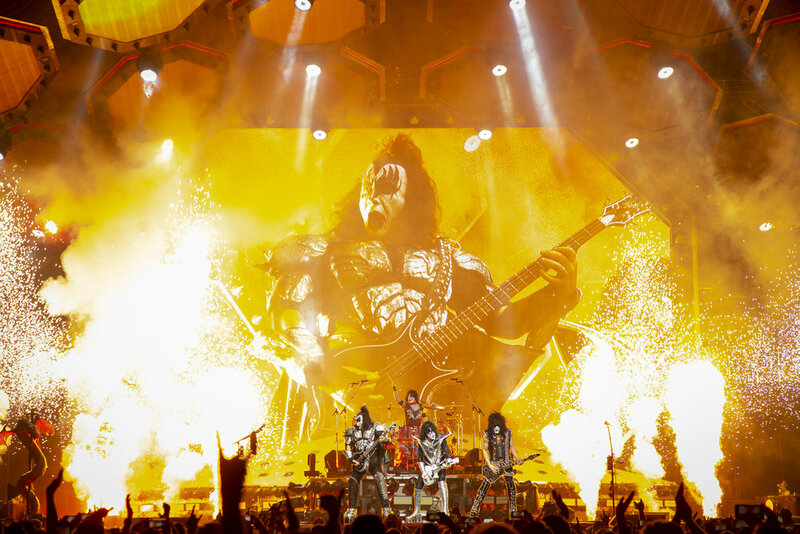 On Sunday night KISS said goodbye to Atlanta forever. Again. Their first farewell tour made the rounds in parts of 2000 and 2001 with the four original members. This version, with just Paul Stanley and Gene Simmons from the original lineup, promises to be “The End of the Road.” If this really is the end, what a way to say goodbye! 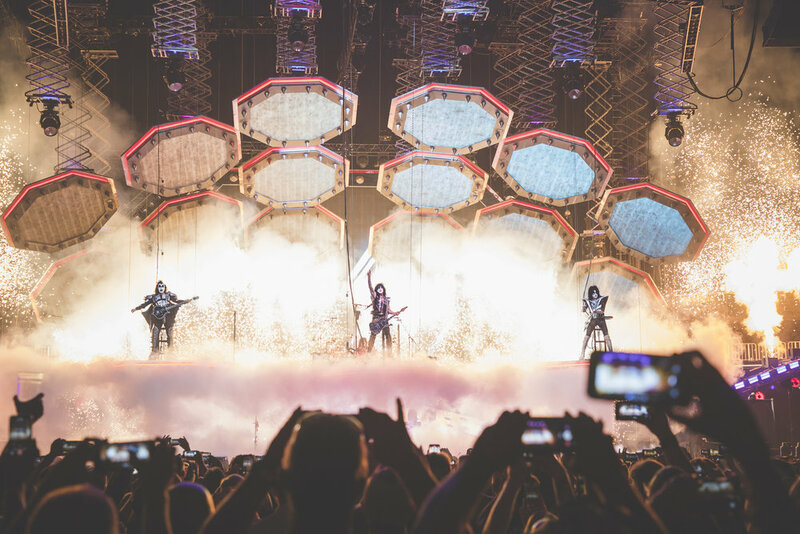 KISS punched the crowd in the face from the very beginning. There was no easing into it. A huge black curtain surrounded the stage while Led Zeppelin’s “Rock and Roll” blared from the speakers. The set list included 20 songs from 12 of their 24 records, spanning their 46 year career. The only thing larger than the sound was the theatrics. Other bands have gimmicks, but none as big or as legendary as KISS. This was part concert, part rock opera circus, part fireworks display. Stanley zip-lined across the crowd to a stage in the back. Simmons flicked his trademark tongue as he tore through bass solos. 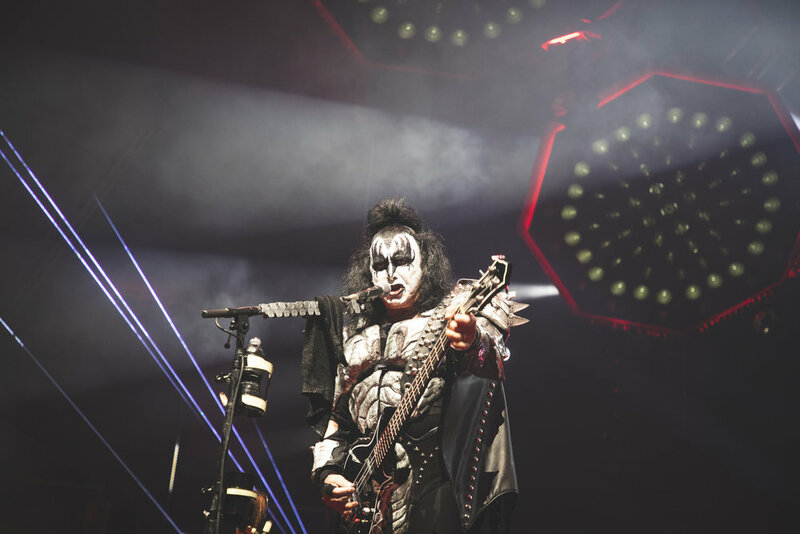 Lead guitarist Tommy Thayer and Simmons flew over the crowd as they played. Balloons fell from the sky as confetti and smoke shot into the crowd from the stage. 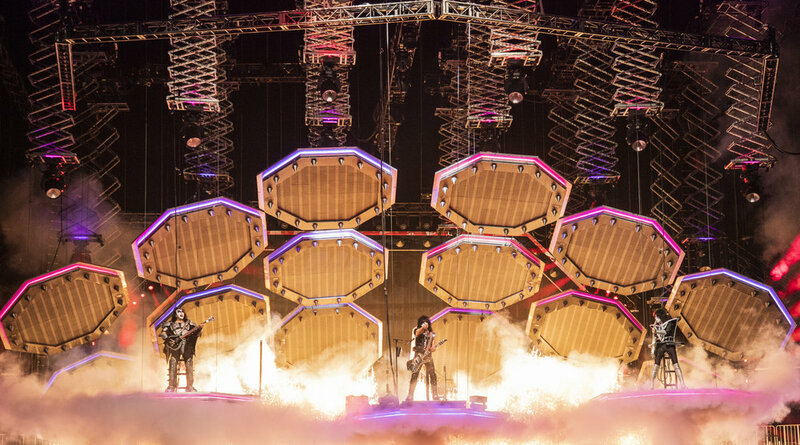 Guitarists and drummer Eric Singer rose into the sky as they were featured on solos. KISS isn’t for everyone, but Stanley said it’s the fans that matter most to the band. “The Rock and Roll Hall of Fame hates KISS,” said Stanley. “But they had to listen to you.” KISS wasn’t inducted into the Hall until 15 years after they were eligible, and the fans played a big role in their final induction. 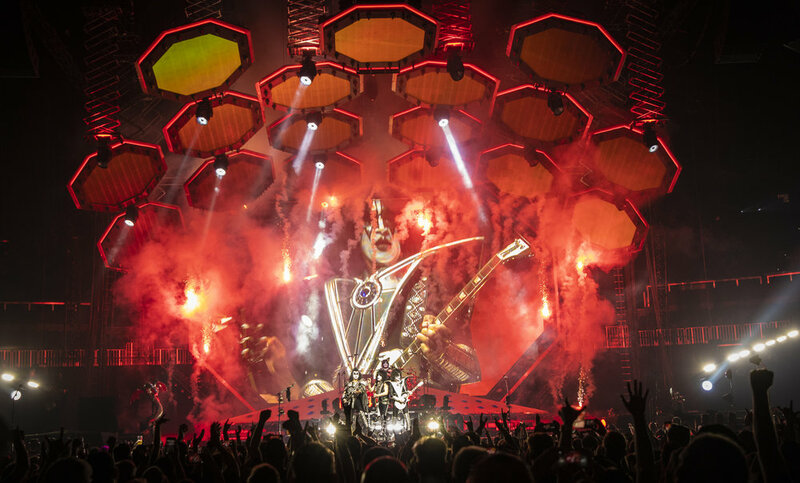 If you missed KISS’ final show in Atlanta there is still time to see them in Birmingham. Or you can catch them on their next farewell tour. Matt is a writer and photographer based out of the Atlanta area. He's seen more than a thousand bands, and he'd love to tell you about it.